TFS WitAdminUI 2013 is my simple wrapper around the witadmin command-line tool offering various features. It is available for download from CodePlex. TFS WitAdminUI 2013 helps you by automatically generating commands based on the project collection and team project you are connected to. It allows you to preview generated commands with parameters for several witadmin actions, get help on those actions and execute them against the selected project collection and team project. As stated in the Toad for Oracle 12.1 - Release Notes, this version introduces the following feature “When using Team Foundation Server (TFS) in Toad, you can now check-in TFS Work Items and link one or more TFS work items to the check-in change set.” Additionally, the next version “Toad 12.5 supports Microsoft Team Foundation Server 2013 (TFS)”, as stated by Toad for Oracle 12.5 – Release Notes. In other words, it is possible to associate work items with database changes while performing a check-in action from Toad for Oracle 12.6 when connected to a Team Foundation Server 2013 Team Project. This blog describes the main characteristics of this integration feature. Visual Studio Test Professional 2013 is the only version from the Visual Studio 2013 offerings which was not released containing the latest updates from Update 4. Thus, if you upgrade your Team Foundation Server environment to Update 4 (TFS server, build server, lab and test agents), you need to install Visual Studio 2013 Update 4 to all machines where you have Test Professional 2013 RTM. Note: Visual Studio Test Professional 2013 is not listed in the “Properties - Applies to” section of the Description of Visual Studio 2013 Update 4. The Team Foundation Server 2013 with Update 4 environment was initially set up (12.0.31101.0). As the lab environment was set up, Visual Studio 2013 Agents with Update 4 were installed respectively on test lab machines. Visual Studio Test Professional 2013 RTM (12.0.21005.1) was installed on test lab machines aimed for manual testing. You could start Microsoft Test Manager and load tests on those machines. You could initiate the test run and Test Runner would also load correctly. 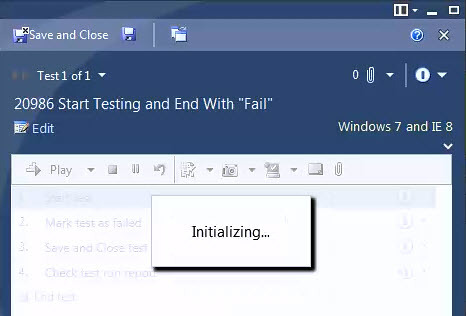 But once you actually started the test run (with Start Test), Test Runner would block displaying “Initializing…” and you could restore it only by manually killing the MTM process and restarting MTM. The event log was full of errors reported by VSTTExecution, like “Object reference not set to an instance of an object” and “Method not found”. Once the Visual Studio 2013 Update 4 was installed, test runs could be started without problems. 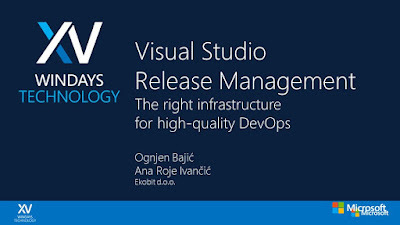 Recordings of this year’s sessions at the Croatian annual Microsoft conference WinDays 2015 are available online [in Croatian]. 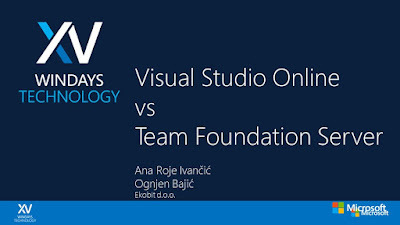 VS Online or Team Foundation Server?